Did you know? 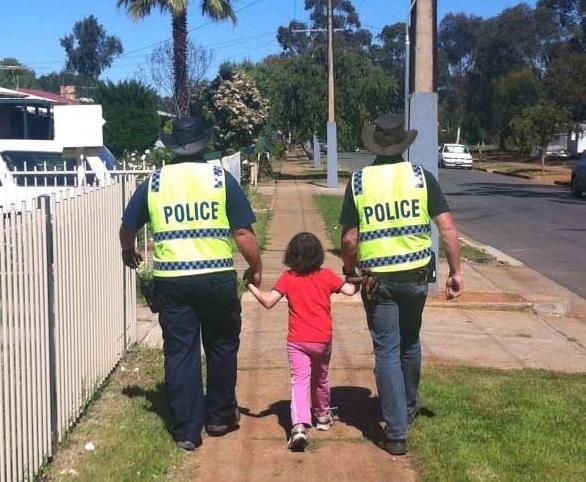 As of the 1st December 2014, WA Police have introduced sweeping changes to the way services are delivered to the community using a new Community Policing model dubbed Frontline 2020. The Midland area will benefit enormously from these changes. For example, since Dec 1st, resources to our local community have more than doubled from 60 to 130 officers. Each area now has a ‘Local Policing Team’ (LPTs) supported by centrally co-ordinated District Crime Centres. One of the main changes that has really appealed to members of the community is that the new Local Police Teams are now regularly staffed by assigned officers who are designated as the local community police in your area. How cool is that! Our local area of Guildford and surrounding suburbs is now looked after by ‘Midland LPT 3’ – Local Policing Team 3 led by Sgt David York and his regular team of officers. We really enjoyed meeting representative officers from all the local teams. Transition Town Guildford has attended 2 recent community policing forums now and both times, we loved the enthusiastic response from the community and from our newly designated local officers. It’s great to start to see familiar faces in uniform around the traps. And guess what else? They Tweet! The use of social media and other avenues of communication have been massively expanded to enhance keeping the community and the police well informed of what’s happening locally. Check it out on the links below. In 30% of all car break-ins, car doors were left unlocked, or valuables were left clearly in view! This entry was posted in Community and tagged Frontline 2020, Midland Police, Neighbourhood watch, Safety, WA Police. Bookmark the permalink.